Audiorealm is your source of free Internet radio stations! You will find thousands of online radio stations for every taste and you’ll be able to listen to them for free! Audiorealm is the biggest community of Internet radio broadcasters gathering thousands of online radio stations for everyone, every taste and every mood. Every single free radio station hosted by this website was created by music lovers all around the globe. Join us by signing up to share our love and passion for free music on the web. You may also join our growing community of online radio stations broadcasters and listeners on Facebook , Twitter or Google+. With Audiorealm.com, it’s easier than ever to find the type of online radio station you are looking for. Whatever the genre, or even if it’s in a very specific niche, you’ll have everything you need to quickly find it. You are able to browse the huge selection of internet radio stations which are classified by categories such as hip-hop, house, indie, alternative, dance, and much more! Moreover, you can try your luck and randomly select an online radio station by clicking on the feeling lucky button to discover new music. 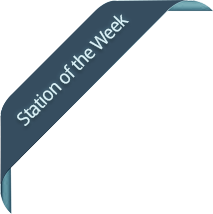 If you do not know what to listen for, you can try the preselected stations found under Popular Internet Radio Stations , Internet Radio Stations to Discover and Rising Internet Radio Stations sections. For users who are always on the go, they can always remain connected to their favorite online radio stations by downloading the Audiorealm app which is totally free! You’ll be able to browse and listen to all the internet radio stations hosted on the website directly on your smartphone or tablet. Spacial Audio is the leader in the creation of award winning Internet radio software such as SAM Broadcaster and SAM VIBE which are known all around the world. These internet radio broadcasting solutions are used by professionals but also by hobbyists who want to broadcast their own internet radio station.